In our white paper you will learn how to transfer documents and information from SAP into SharePoint with 25 SAP processes and 39 transactions. In addition, we will show you how the transfer of information and data from SharePoint to SAP works. 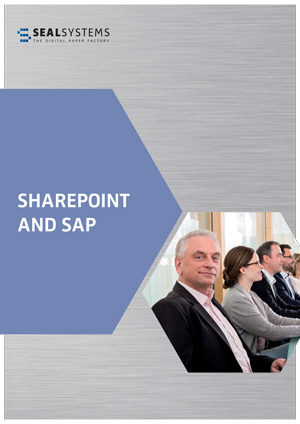 This will provide you with the opportunity to use a bidirectional solution for a connection between Microsoft SharePoint and SAP! Good Afternoon. I am part of Croda’s SAP team and writing to you to understand your solution of integrating SAP with SharePoint better. We would like to know more about the solution you offer and if possible see a demo of the same. you can reach out to me on my email. thank you very much for your request! I’ve forwardet it to our SAP experts. They will get in touch with you immediately.